We as fans always wonder what our favorite artist are doing in-between albums. As years go by between releases, fans pretty much harass the artist in wanting new material. We know they live their own lives, and with life, setbacks, and other complications come in. 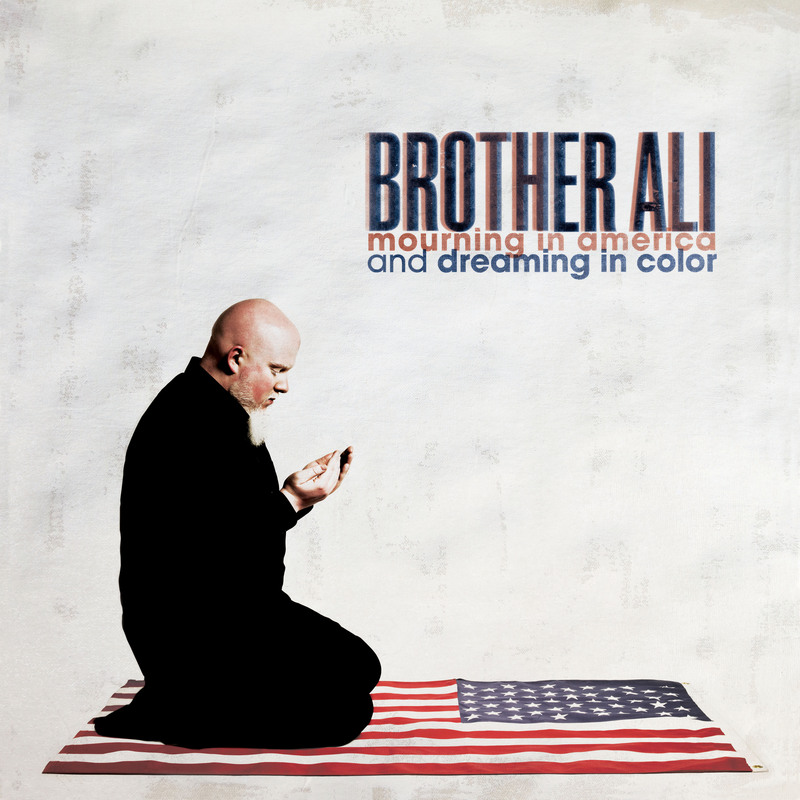 Brother Ali is an artist who I highly respect, not only as a MC, but as a human being. His music has always been legitimate in terms of emotions, and impact. With the release of the album artwork for his collaboration album with producer Jake One “Mourning in America, Dreaming in Color” we also get the first glimpse of the work the two have been crafting. On “Stop The Press” Ali gives us happiness, guilt, sadness, and determination. The lesser emotions are ones that I personally go to Ali’s music to get through; the higher ones are the emotions that come to me by listening to his words. It is a compelling track, and one that makes the fanboy inside me leap with joy, and glee. The album releases on August 12th. If you want a free download of the track, just hit up the Fifth Element website to pre-order the album.